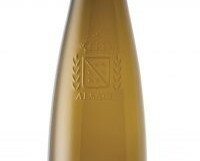 Rich, textured apple and pear fruits, nicely bound refreshing acidity and a touch of honey. Perfect with pork and chicken dishes. The basic Riesling in the Lidl French Wine Sale is lighter and fresher and pretty good value at €9.99. But for three euros more, the Grand Cru Riesling is a really tasty wine, and worth the premium. Classic Médoc with slightly austere blackcurrant fruits, a bit of structure and some drying tannins on the finish. Well made wine. If that sounds a bit negative, it shouldn’t – this is good value and an enjoyable wine. I wouldn’t try this without food, and it would go best with roast red meats – lamb or beef. 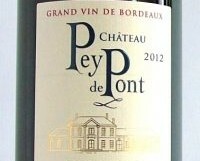 Lidl have a very decent range of inexpensive Bordeaux in their French wine sale. I have covered a bigger selection of their wines in earlier blogs. Lush rich peach fruits, lightly honeyed with some toasted almonds. If that all sounds too soft and flabby, it isn’t; there is enough acidity to keep it all nicely on track. Try it with white meats, chicken or pork, with creamy sauces. It went nicely with my chicken in a mushroom sauce. It is not often you find a Tokaji for less than €15. Aldi have one for a mere €7.99 in their current Wine Festival, but this bottle from Mitchell & Son is far superior. 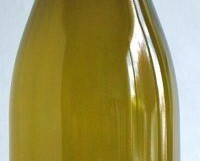 Furmint in usually used to make the fabulous sweet wines of Tokaji, but in recent years, producers have started to offer very good dry whites as well. This is great value for money. A big, powerful, full-bodied red wine with rippling supple meaty dark fruits, dried herbs and black olives. Classic Languedoc at a very keen price. Decant just before sitting down to a nice juicy rare steak. €14.95 from Gibneys of Malahide, Donnybrook Fair, Clontarf Wines, Redmonds of Ranelagh, Sweeneys of Glasevin, Martins of Fairview, Hole in the Wall. Pleasant, fresh plump easy melon fruits with a touch of the exotic – ginger and honeysuckle. An aperitif wine or with light summery salads. The plump fruits might go well with scallops. I featured a few wines from Slovenia recently; today its next-door-neighbour, Croatia. I visited Vina Laguna a few years back. They make a good range of sound, reliable wines, fairly priced in a region where many wines are not cheap. They also produce a very decent Malvasia at around the same price. Pinot Sivi is Pinot Grigio. €15 from Mitchell & Son & Myles Doyle, Gorey. Lovely cool supple plum fruits with a sprinkle of black pepper. We tried it with chicken baked in a creamy sauce. The chicken was lovely but the wine went better with the sheep’s cheese that followed – Cáis na Tíre, my new best friend. I first came across this wine a decade ago over lunch in the winery, and have followed it ever since. Sicily produces some very good Syrah, and this is one such example. It is richer than a Northern Rhône Syrah, but lighter and cooler than a Shiraz from Australia, This was a massive hit over dinner with a group of friends. I also featured the equally good Nero d’Avola a few weeks back. 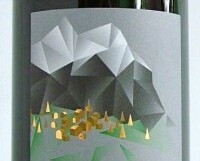 Oak-free, crisp refreshing dry white with lively green apples, pears and lemon zest. A pleasing aperitif, but I have tried it alongside moules marinières with great success on several occasions. The two combined make for a very satisfying inexpensive starter. Not strictly under €15, but if you buy two, the bottle price drops to €12.71, which is very good value for a wine of this quality. I have written about it many times before, but this is one of my go-to inexpensive white wines. The Begude 11300 Terroir and Etoile are a little pricier but equally good value. 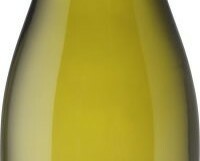 This contains around 15% Chenin Blanc, the remainder being Chardonnay, an unusual blend that seems to work very well. Organic. €13.99 from Egan’s, Portlaoise; Vanilla Grape, Kenmare; and Drinkstore, Stoneybatter. Bright fresh dark fruits with good acidity and plenty of concentration. Medium to full-bodied with well-managed tannins on the finish. This is a lovely well-priced wine. This went brilliantly with a leg of lamb, but any substantial roast red meat would do fine. 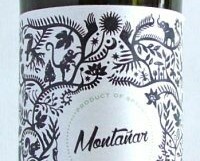 Graciano is a grape variety found in Rioja, but shunned until recently as it was very difficult to grow. 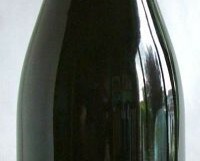 It can produce perfumed elegant wines with good acidity and structure. The Parra family are based in the warmer La Mancha region of Spain. 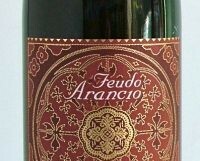 This wine combines the elegance and acidity of Graciano with the stuffing provided by the La Mancha heat. Organic. 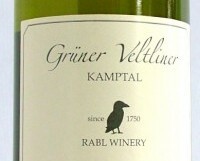 Grüner Veltliner is the signature grape of Austria. 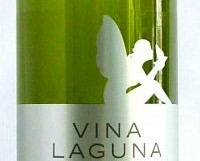 It produces excellent white wines, and has now become very fashionable in many key markets worldwide. So much so that it is now being planted all over the New World and even in places like France. This mouthwatering dry white, with its lovely toothsome pear fruits is a perfect summer wine; light, a mere 12% in alcohol, and refreshing and very reasonably priced too. At 12.5% alcohol, with light fresh red fruits and nice acidity, this is a perfect light-bodied summer wine, one to match with all sorts of cold meats and other salads. We had our bottle with chicken wraps. It was very easy to sip on its own too. Teroldego is unique to Trentino high up in the mountains of north-eastern Italy.